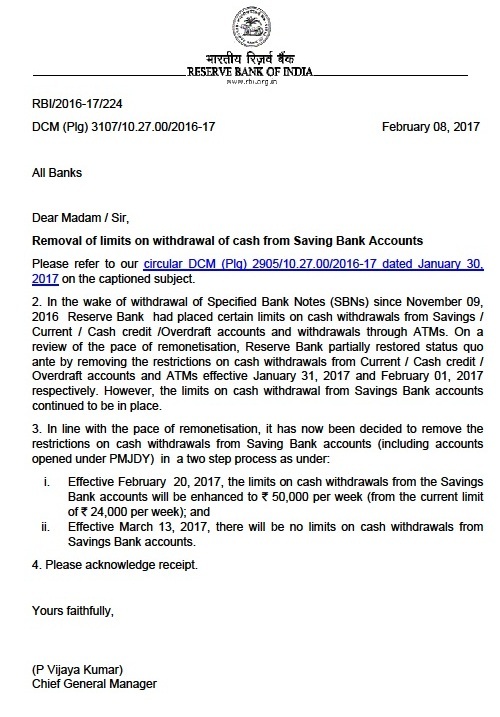 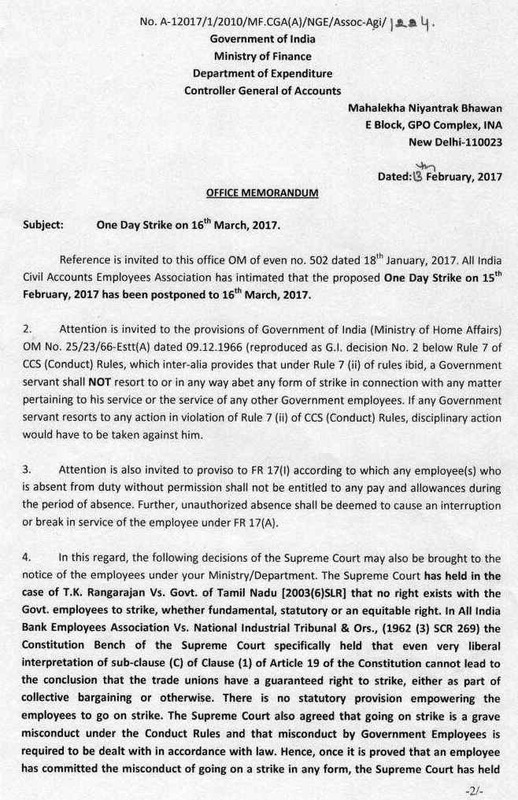 One Day Strike on 16th March 2017 : Government of India, Ministry of Finance, Department of Expenditure, Controller General of Accounts, Mahalekha Niyandtrak Bhawan, E Block, GPO Complex, INA, New Delhi – 110 023, invited attention towards the provisions of Government of India (Ministry of Home Affairs)OM No.25/23/66-Estt(A) dated 09.12.1966 vide No. 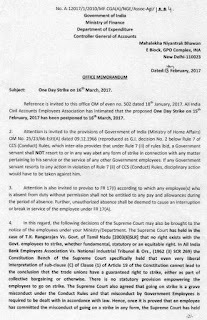 A-12017/1/2010/MF.CGA(A)/NGE/Assoc-Agi/1224 dated 13th February 2017 and suggested Government servant NOT to resort to or in any way abet any form of strike in connection with any matter pertaining to his service or the service of any other Government employees. 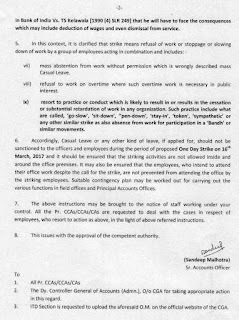 If any Government servant resorts to any action in violation of Rule 7 (ii) of CCS (Conduct) Rules, disciplinary action would have to be taken against him. 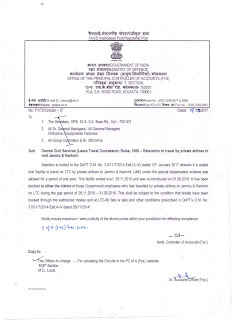 Kendriya Vidyalaya Sangathan Admission guidelines 2017-18 – Details of Admission Procedure, Special Provisions etc *** In supersession of all the guidelines governing admissions in Kendriya Vidyalayas that have been issued in the past, the following guidelines are issued to regulate admissions in the Kendriya Vidyalayas with effect from the academic session 2017-18.These guidelines are not applicable to Kendriya Vidyalayas located abroad. 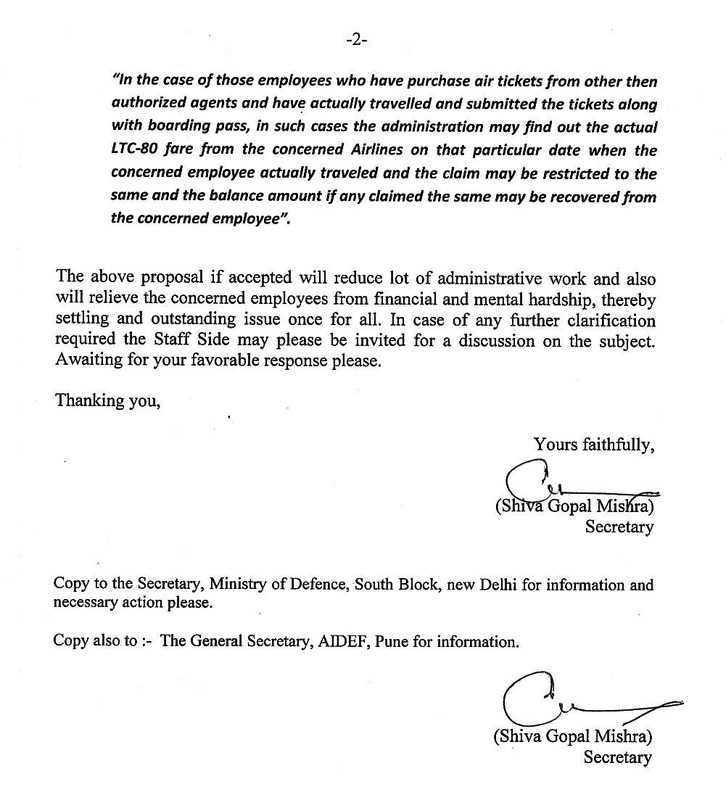 Central Government issued clarification vide No.31011/3/2015-Estt. 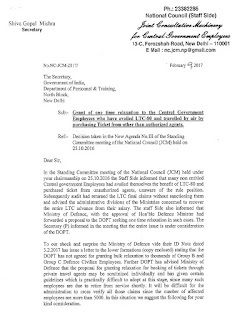 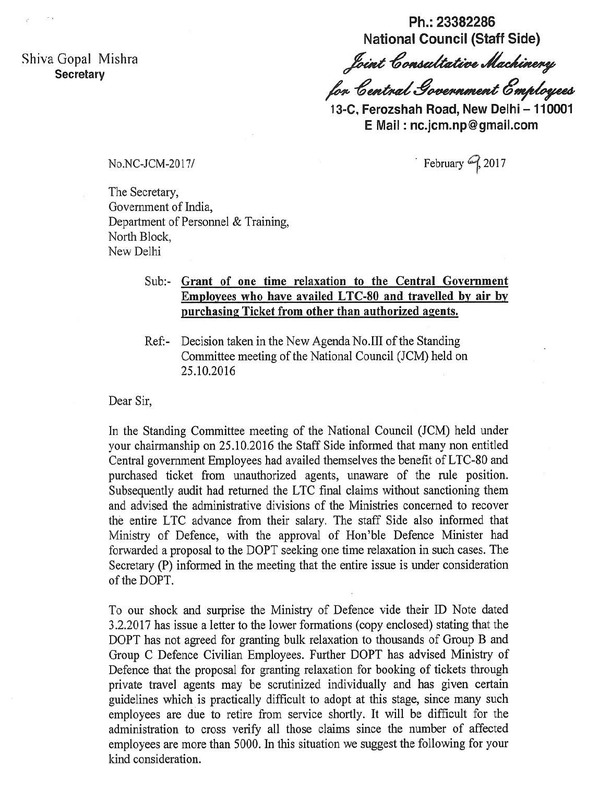 (A.IV), Government of India, Ministry of Personnel, Public Grievances and Pensions miss, Department of Personnel and Training, Establishment A-IV Desk, North Block, New Delhi-110001, Dated February 9, 2017 and decided that the cases where a Government servant travels on LTC upto the nearest airport/railway station/ bus terminal by authorized mode of transport and undertakes rest of the journey to the declared place of visit by private transport/ own arrangement (such as personal vehicle or private taxi etc. 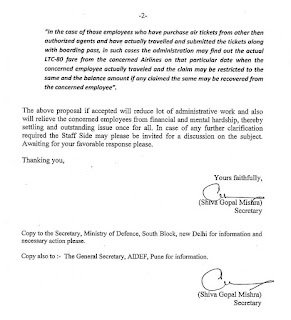 ), government servant may be required to submit a declaration that he and the members of the family in respect of whom the claim is submitted have indeed travelled upto the declared place of visit. 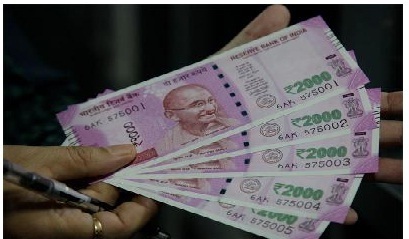 7th Pay Commission: Is Modi government deliberately delaying higher allowances? 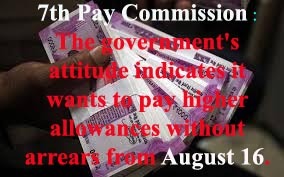 7th Pay Commission: The government's attitude indicates it wants to money to pay higher allowances without arrears from August 16. 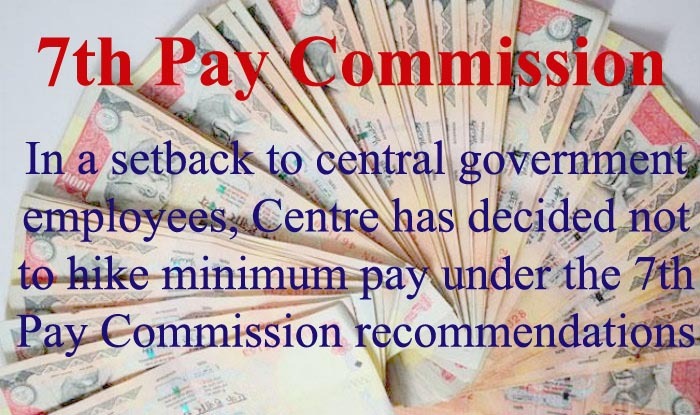 Higher allowances and minimum pay under the 7th Pay Commission have been the major bone of contention among majority of the central government employees. Central Government employees had lot of hopes of this budget especially on increasing the tax slabs and tax rates reduction , also on allowances and increasing our wages i.e. 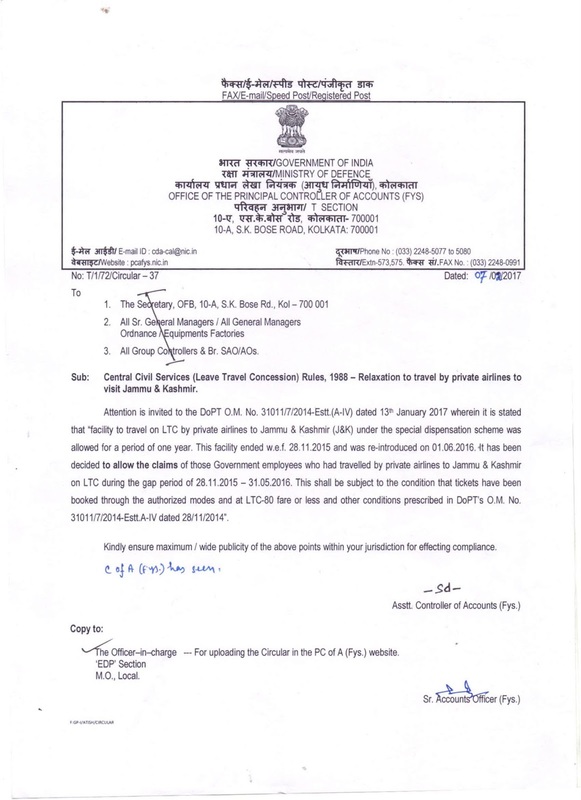 revision of the fitment formula . 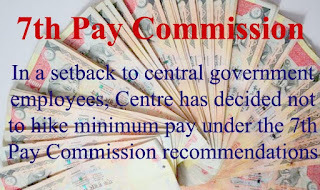 One more important issue of filling up of vacant post in the Central Government. 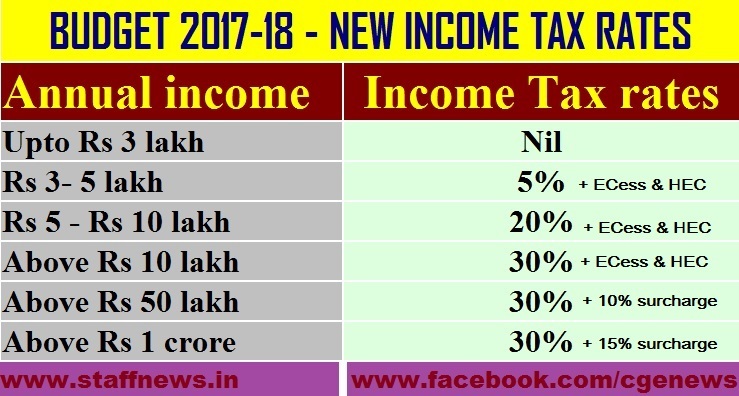 NPS : New benefits announced for NPS subscribers in Budget 2017-18. 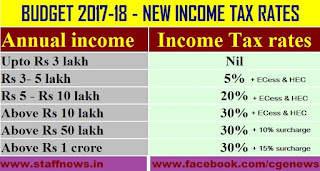 It is said that nothing in this world is certain except for death and taxes. 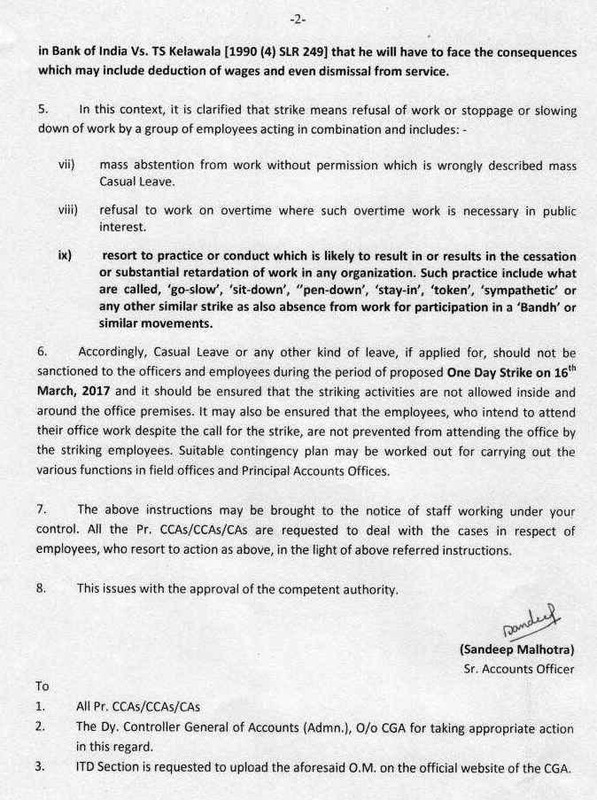 With this nifty Times of India-EY Guide, however, you can soften the blow from the latter, legally of course. 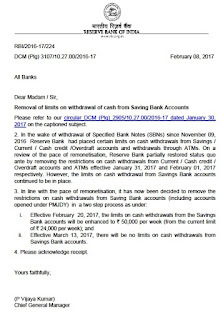 Read on for many happy returns.